The white grape, Riesling, originated in the Rhine region of Germany and still remains that country’s most grown variety. With varying flavor combinations on holiday tables, Riesling is the perfect palate cleanser matching the ability of a sweet sorbet. Rieslings are usually varietally pure and unoaked. In order from driest to sweetest. 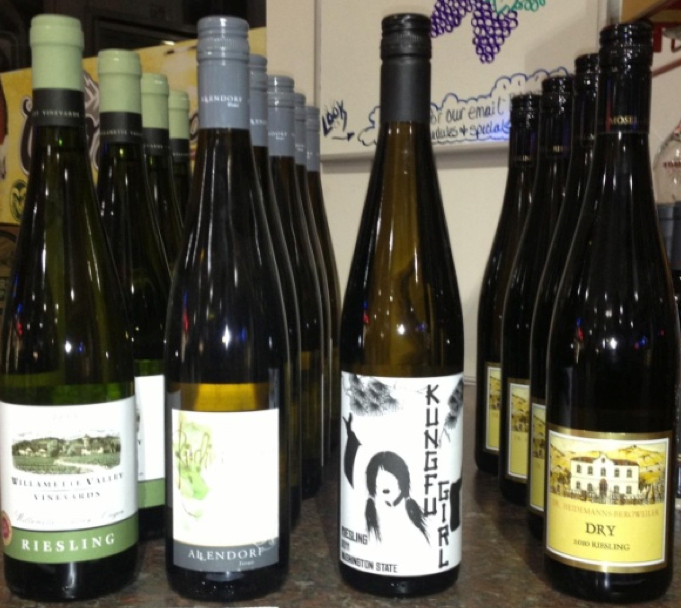 Consider the following four Rieslings to present to your guests or host this season. Each has a Stelvin screw cap which prevents the embarrassment of a corked wine and keeps the wine fresher, longer. Willamette Valley Vineyards Riesling 2011: Hillside plantings and Oregon’s Willamette Valley with its cool climate create optimal conditions for growing world-class Riesling. This is a wine to be truly grateful for. It’s flavor is fruity and crisp with acidity and sweetness in perfect balance. This is the Riesling of choice for Mr. and Mrs. Poet for the holidays.